Over the next few blog posts I will be concentrating on the top 5 key components essential for good health. This is what I recommend to all my patients. Lets begin with number 1. It’s important to know that about 85% of your body is composed of water. Evidence shows that if you have a 5% reduction of hydration, it results in a 25% reduction of energy. We’ve all heard we need to drink 8 glasses of water every day. However 8 glasses will not be enough for a heavy person weighing about 300 pounds and for a petite person weighing about 100 pounds it will drown them. The amount you should drink depends on your body type, lifestyle choices and habits. It’s best to drink 1/3 of your body weight in ounces. So, if you weigh 150 pounds (68kg) then drink 50 ounces (1.5L) of water. Only water or tea can provide your body with the adequate water. It’s important to realise; You don’t get water from drinking juices, coffee or alcohol. Juices have a lot of sugar in them and it takes fluid to process it. If you exercise the body usually sweats and you need to drink more. I like to state that for every 20 minutes of sweating, you should replace it with 8 ounces. If you don’t sweat during a workout, then your body doesn’t want to get rid of the fluid and is retaining it. This is also a sure sign you should be drinking more. For those that are highly active then you would need to drink half of your body weight. Another key concept to think about is the average adult urinates about 6-8 times a day. If you drink water and you need to urinate after 20 minutes, it’s a sign that your body is mineral deficient and that it’s time to make better diet and lifestyle choices. You should urinate after 1 hour of drinking water. It’s also vitally important to replace electrolytes (The major electrolytes found within the body include calcium, magnesium, potassium, sodium, phosphate and chloride.). Your body likes to maintain a natural balance. I like take electrolytes in vegetable form i.e. ; Himalayan sea salt or coconut water. Remember: Hydrate throughout the day and recharge the body with electrolytes. You will start to hopefully see that in 2 weeks your energy levels increase. 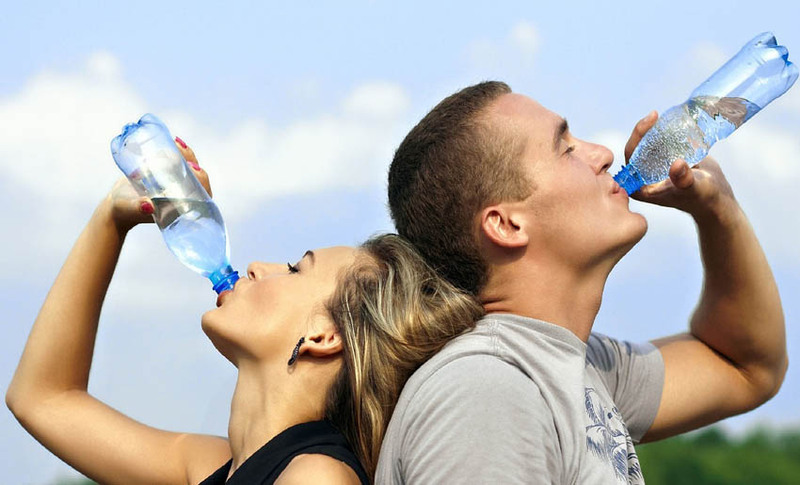 Your body perceives when it is thirsty; give it appropriate amount of water because it leads to good health. This is the most important nutrient in the world for the body.